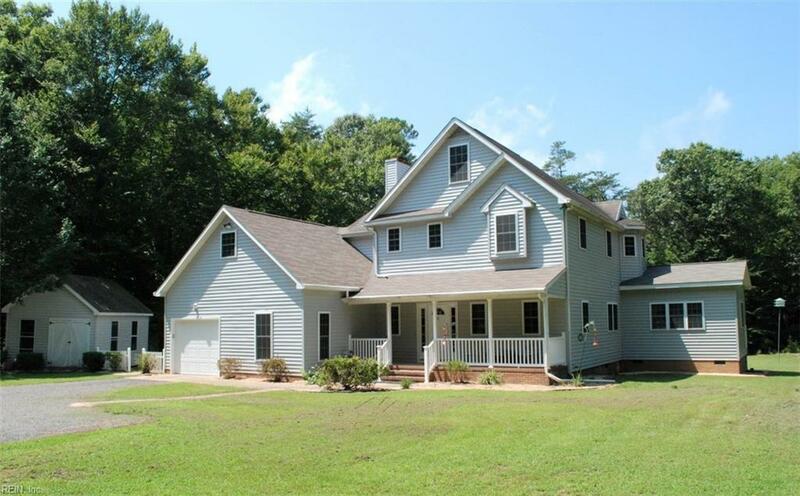 6034 Belroi Springs Ln, Gloucester County, VA 23061 (#10184312) :: Abbitt Realty Co.
New price $429,900 - below appraisal, also fresh paint neutral bright & light gray/white tone in most rooms. 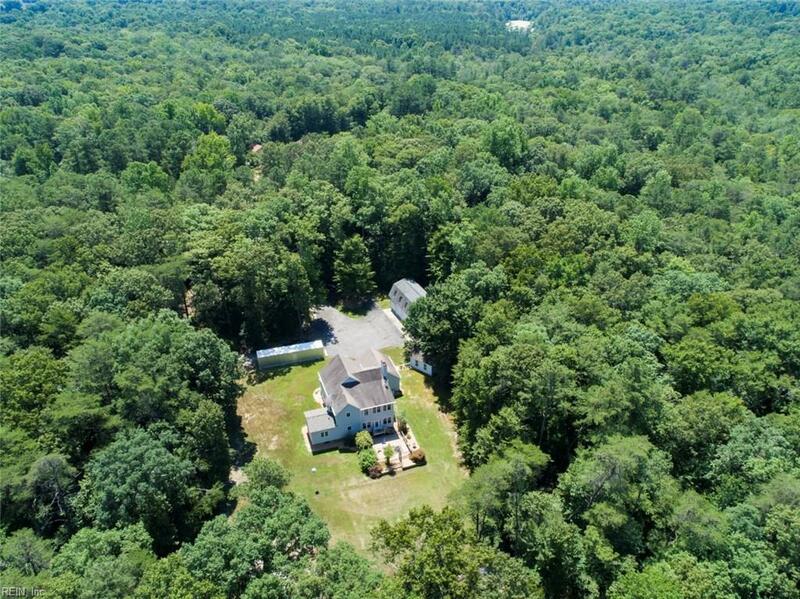 This ideal modern, move-in ready family home on 5AC near the end of a private road, is your private oasis fm the bustle of life. Close to courthouse & area shopping, while living in an established, horse friendly neighborhood. King & Queen master suite has his&her walk in closets, 2 person shower, sauna & jetted tub creating a spa like experience. 2 add. bdrms, bathrm, bonus rm, & laundry upstairs. 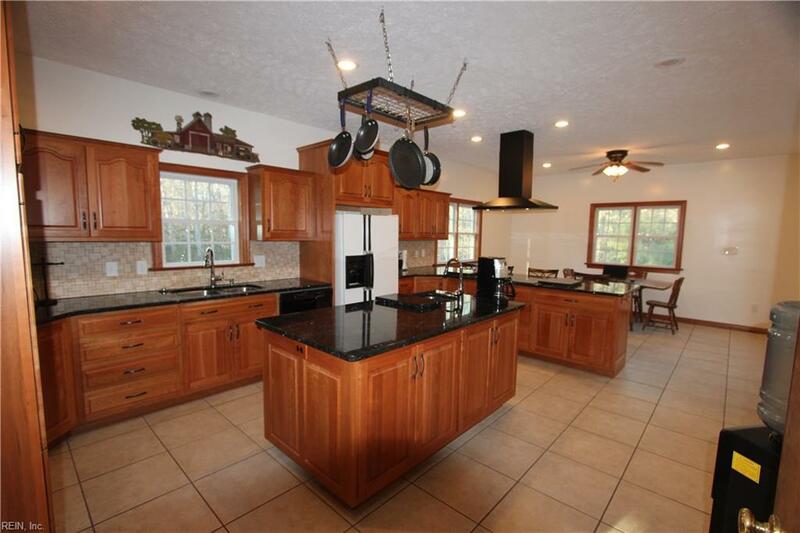 Spacious Kitchen featuring hand crafted cherry cabinets w/tons of storage granite & ceramic tile is designed for enjoyable cooking experiences & entertaining guests. 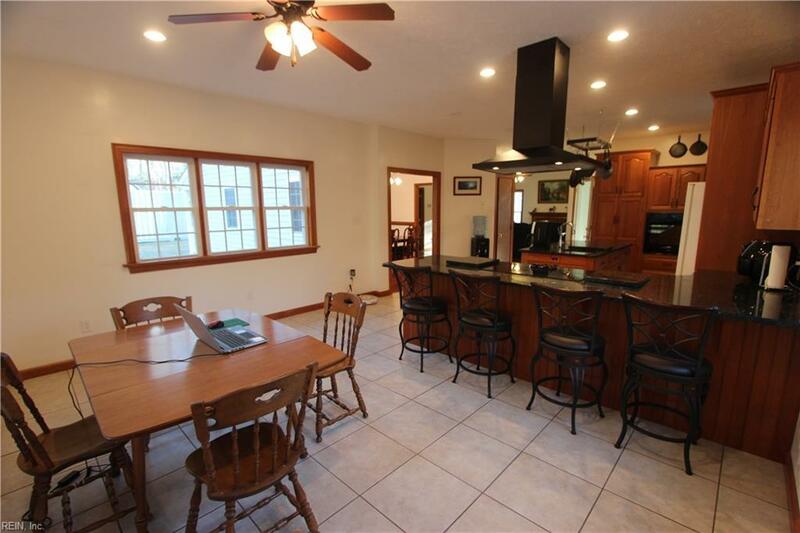 Sunroom, bath & rec room w/fridge & wine cooler add to large amount of family space. A "man cave over large 4 car det gar w/an outdoor shower. Exposed aggregate patio & pea gravel flower beds add to the low maintenance exterior.A small stream in back of property keeps an abundance of wildlife close for your enjoyment.